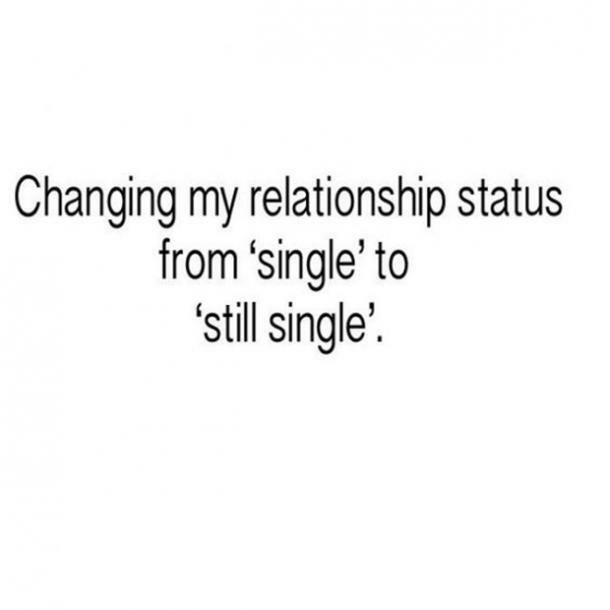 Valentine's Day is FINALLY over and it's officially time to celebrate Singles Awareness Day on February 15. Are you ready for it? 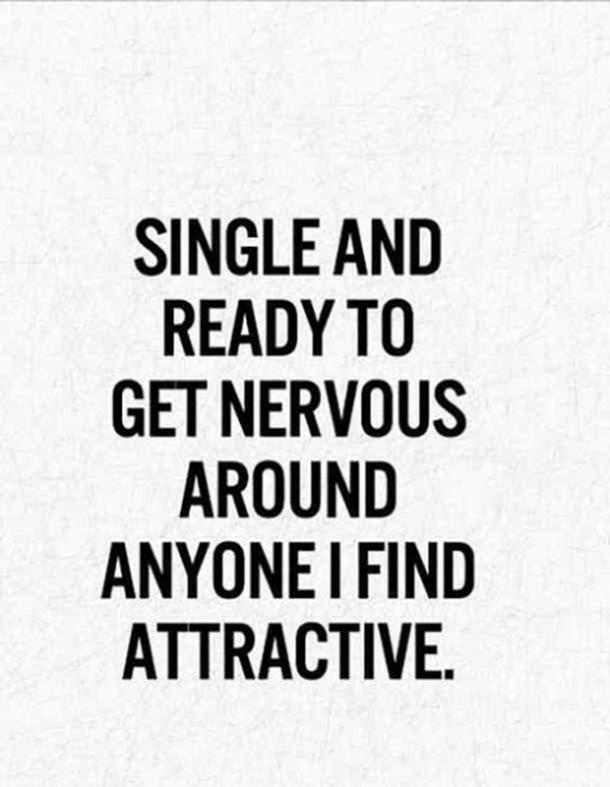 Many dread being asked if they are dating anyone, but there are some who can truly see humor in their single status and make some really valid arguments in support of their singlehood. 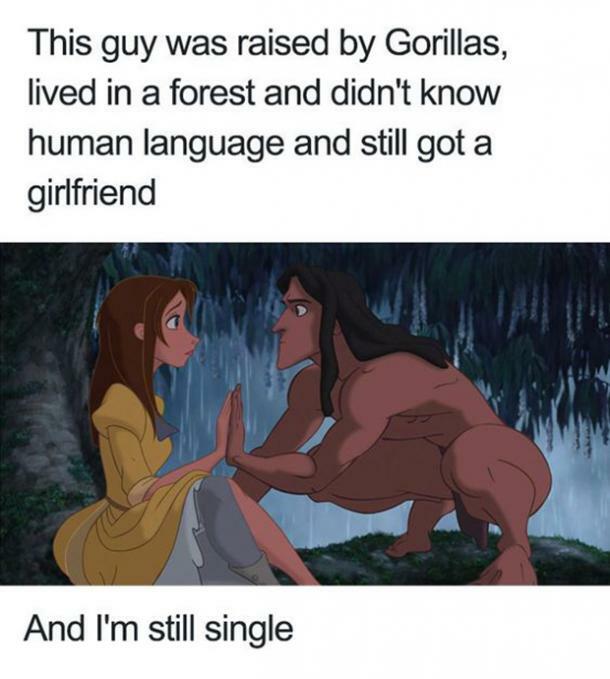 To these people, being single isn’t something to be ashamed of. 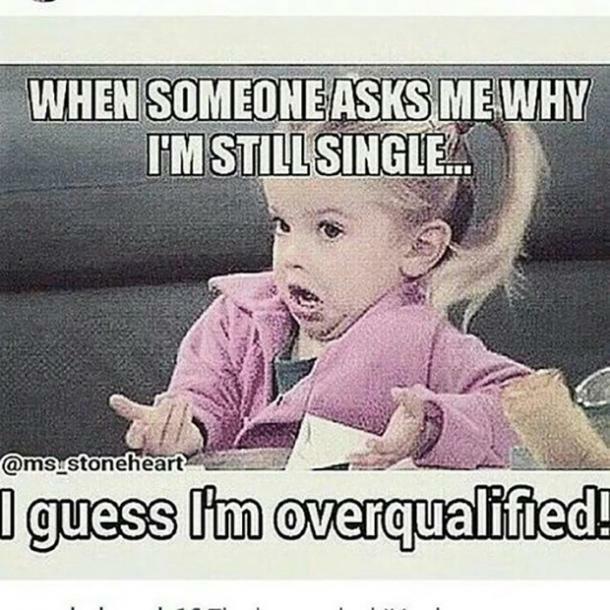 Instead, they know they are single because they have not met someone worthy enough to strip them of their singleness! 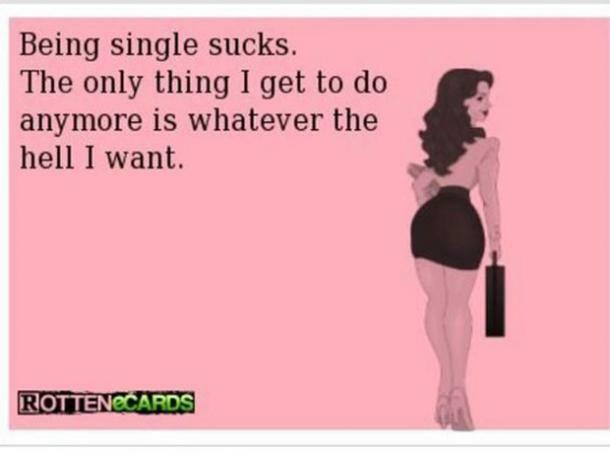 Others are slightly sad about not being taken for Valentine's Day but choose to find the fun in the situation. 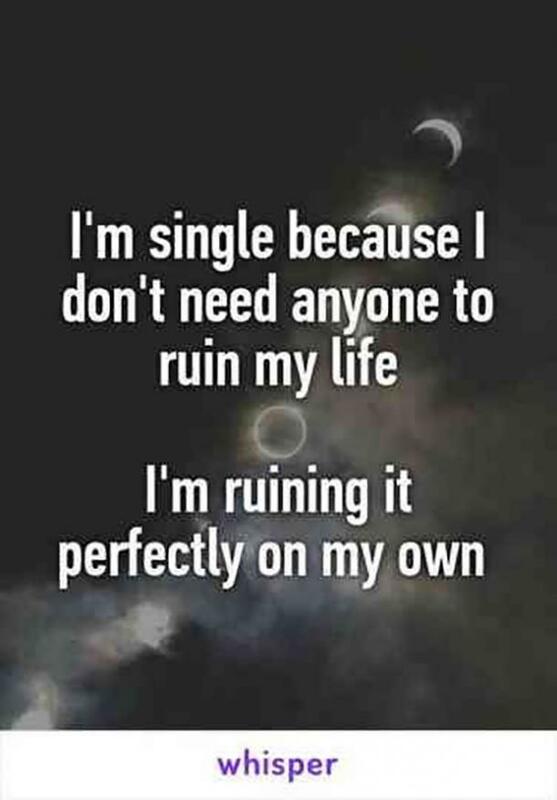 After all, there's no point in moping about and being lonely. 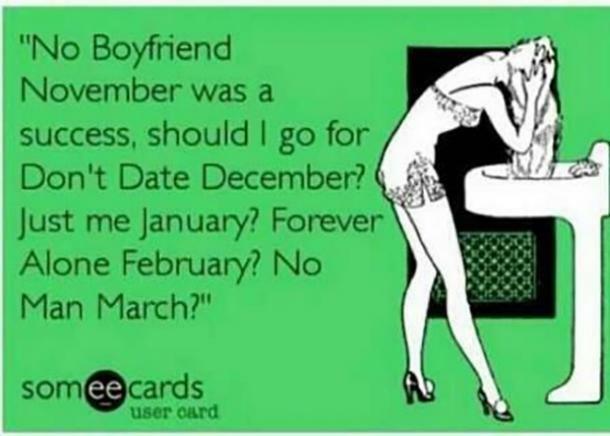 Whether you love being single or hate it, rest assured that Valentine's Day will remind you that you don't have a boyfriend or girlfriend. Choose to laugh it off! 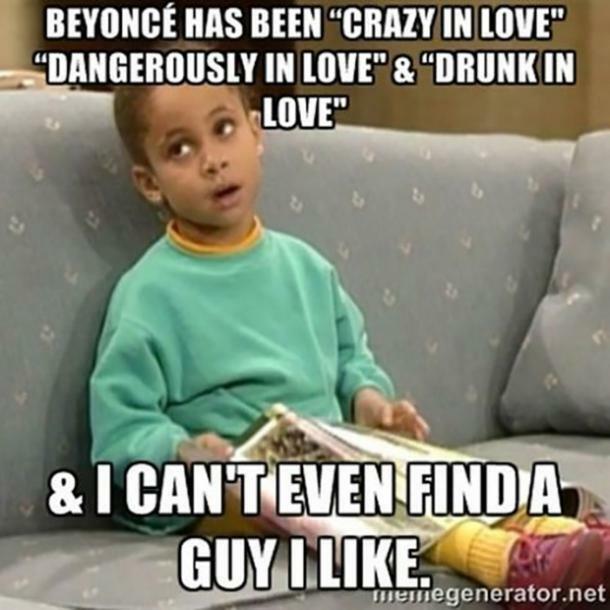 We have put together a list of 25 funny memes for Singles Awareness Day! 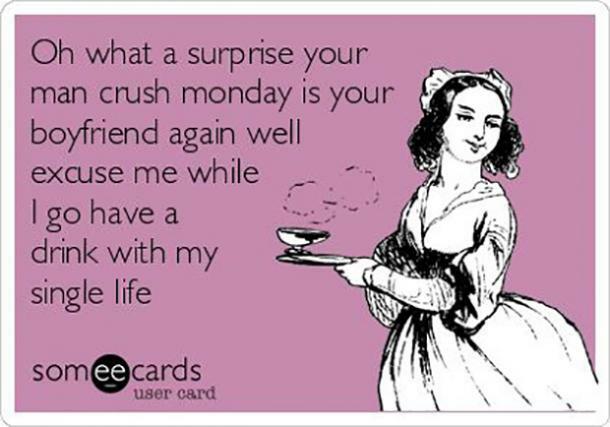 We are here to celebrate with you so that you may see the humor in it all and survive Valentine's Day. 1. 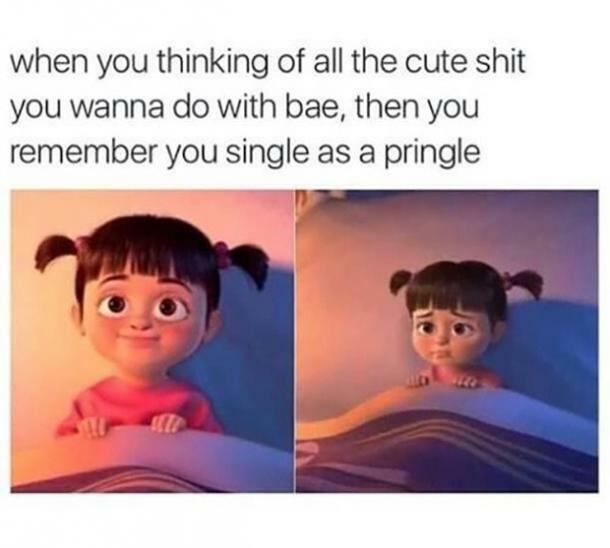 When you’re planning couple activities but realize you’re still single. 2. 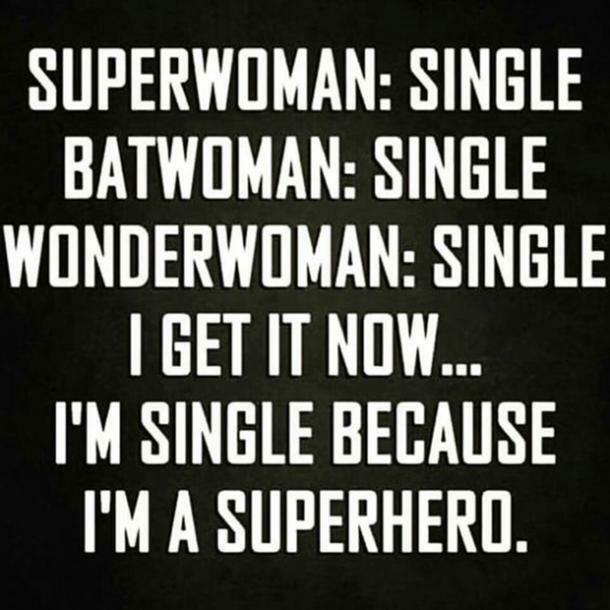 You’re single because you are a superhero. 4. 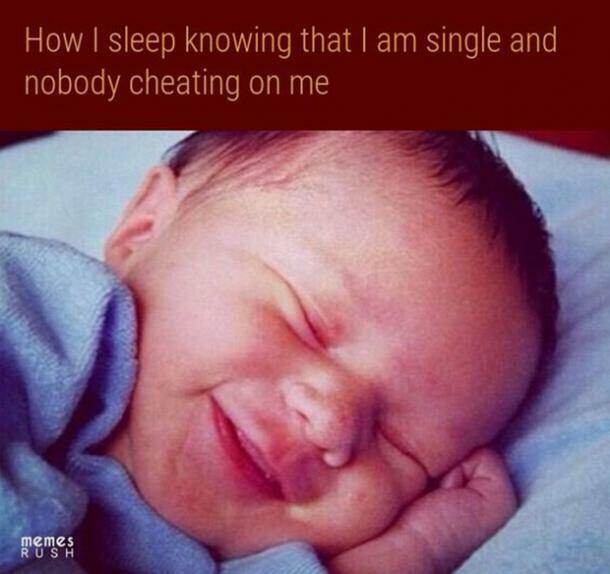 Your beauty sleep is much more important than boys. 6. 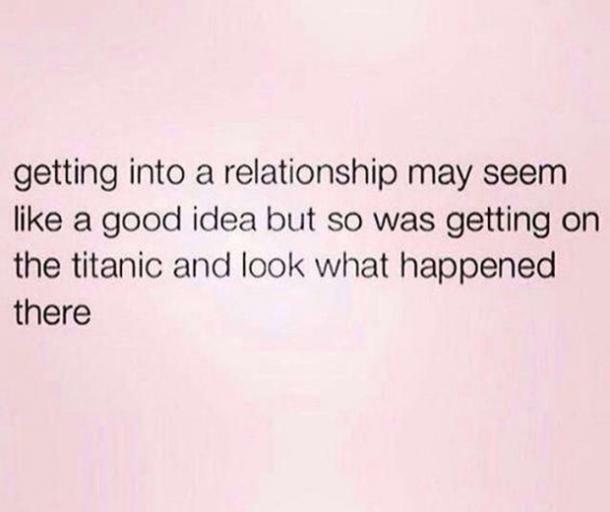 When your relationship status hasn’t changed that much. 7. No one can tell you what to do. 8. When people need to get more creative on social media. 9. 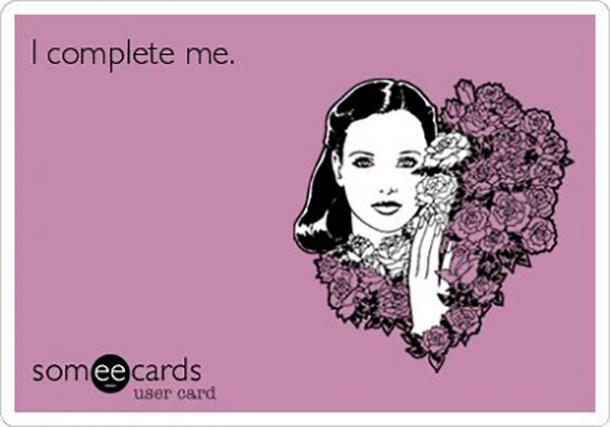 Single doesn't mean incomplete. 10. 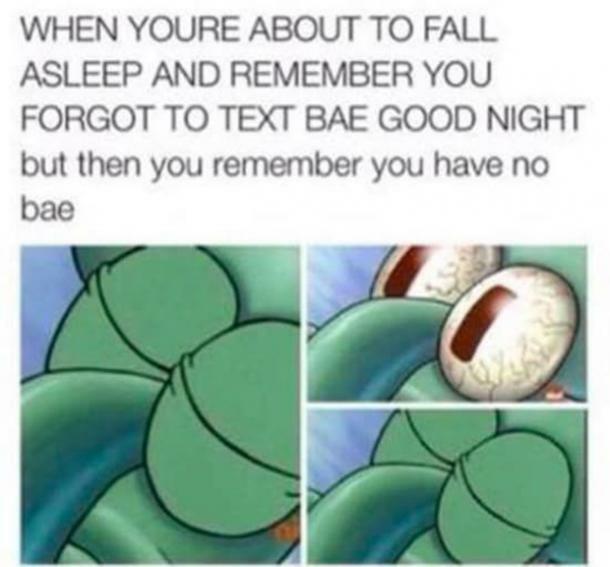 When you forgot how single you are. 11. When you have to get real with yourself. 12. 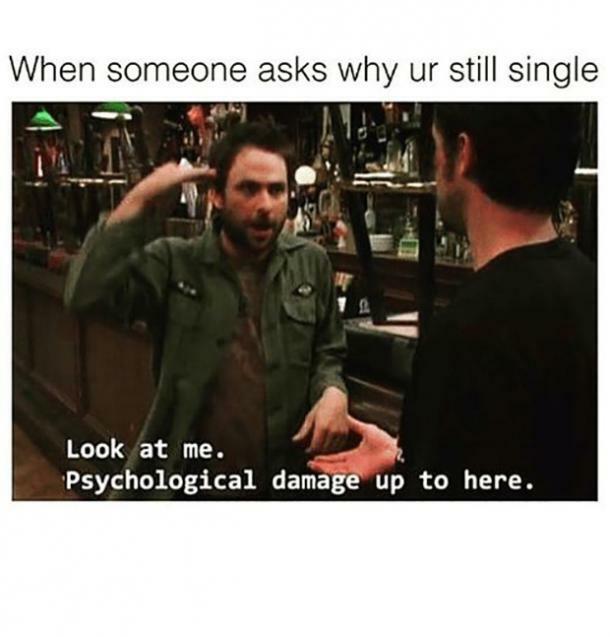 When you wonder why you’re really still single. 13. When you know relationships are traps. 14. You can't get cheated on if you're single. 15. Heck, spend that extra money on yourself. 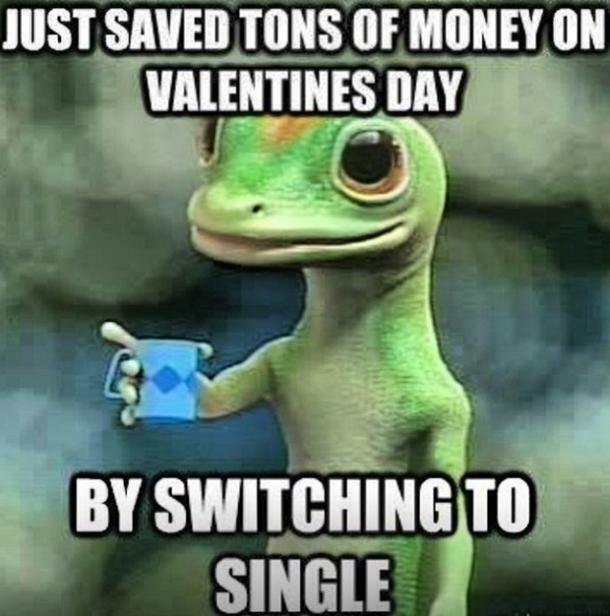 "Just saved tons of money on Valentine's Day by switching to single." 17. 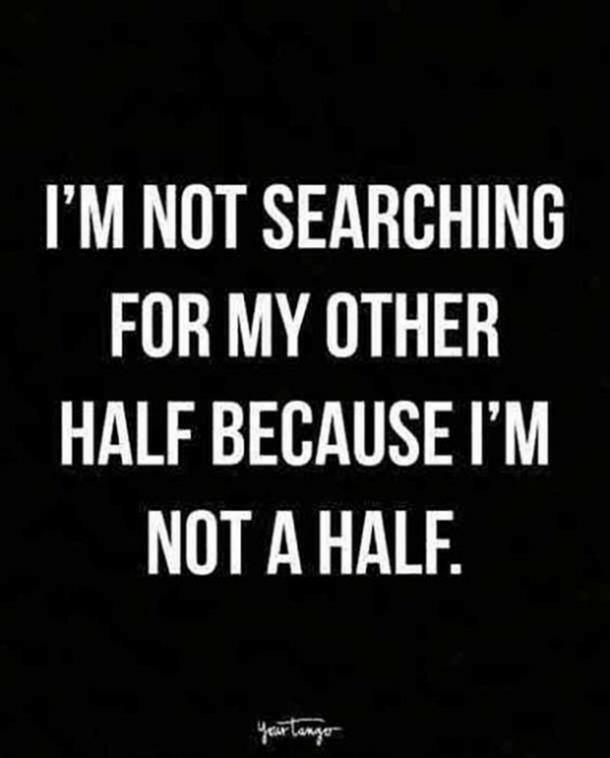 You are not a half. 18. 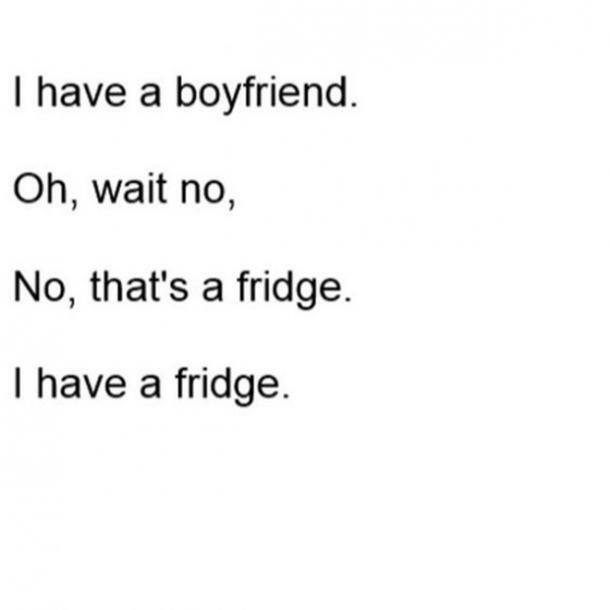 Is this why I'm single? 19. When you don't need a man to ruin your life. 20. Sounds like a great way to spend the day to me! 21. 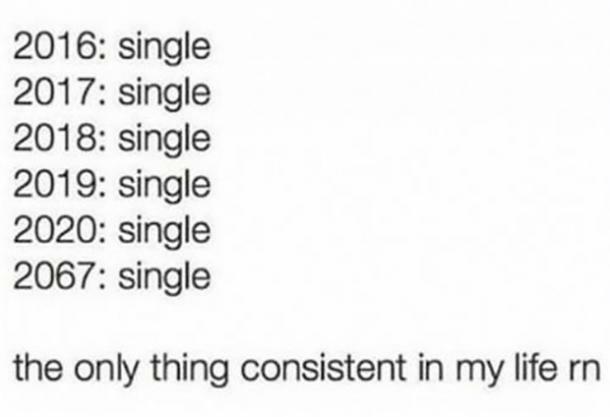 When being single is the most consistent thing in your life. 22. 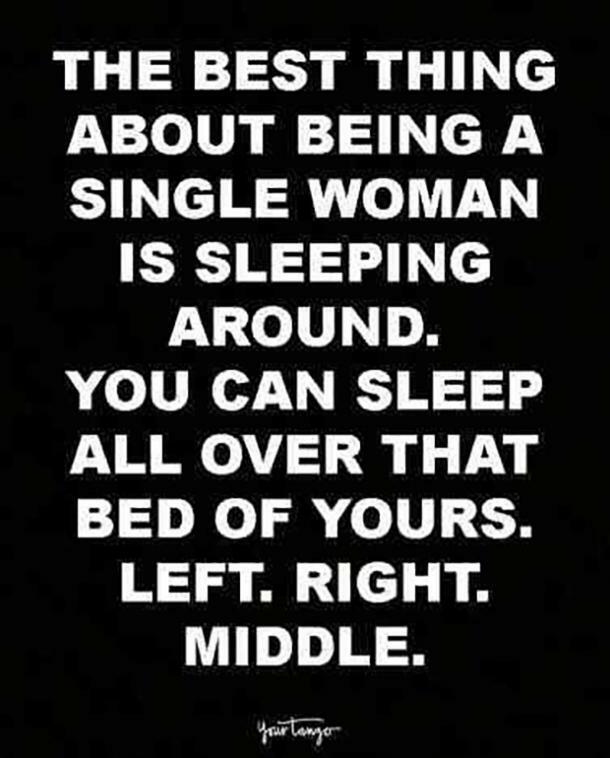 Cherish that bed space while you have it. 23. 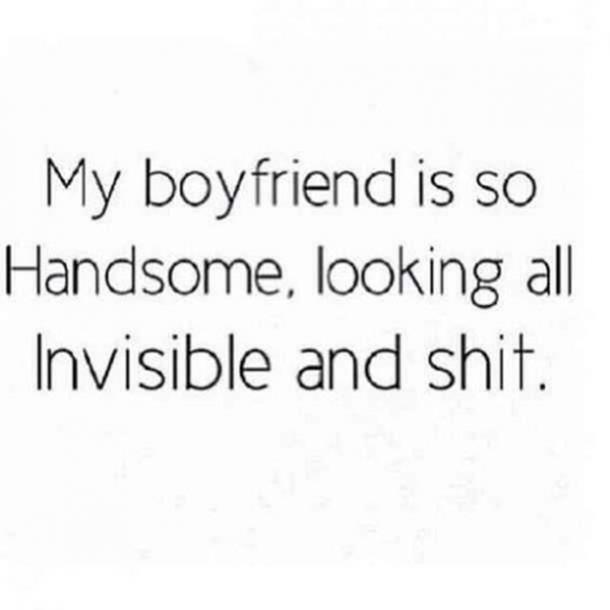 Invisible boyfriends count, right? 24. Keep it going. You got this. 25. 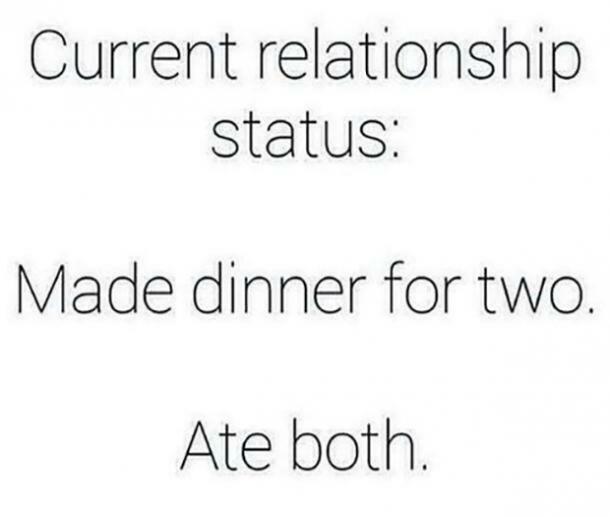 When food is your significant other.